This is a prefab used for the modding tutorials. Farming Simulator 2019 mods – Get ready FS fans, Farming Simulator 2019 is coming to your front yard! With FS2017 already out for a while, anticipation for the next PC and console installment is as close as ever. Farming Simulator fanbase has lot of loyal fans that gather here in farmingmod.com and contribute to the community to make this website the best destination for FS related topics. If you have some news or information about Farming Simulator 19 – contact us through the contact form – that’s appreciated very much! FARMING SIMULATOR 2019 MODS is your primary destination with over 20 categories to look at and choose from. Happy farming everyone! Addons Mods – Farming Simulator looks to set the bar higher for each and every one FS game. With Farming Simulator 19, developers need to live up to the great and amazing standards that FS17 has set for them. We look at the game with high hopes and any enthusiast will say that FS19 has them on the edge of their seats. It’s early to speculate on a lot of things, but knowing that FS19 ADDONS MODS is going to be a prosperous category is a sure thing. Since the game’s world is only getting bigger, opportunities for mod creators are vast and almost unlimited. Add their unmatched creativity and you’ve got a match made in heaven. Just wait for the add-ons to roll in and revisit this page to find the latest info. Happy farming everyone! Buildings – Look at the pretty graphics of Farming Simulator 19. You can’t help but wonder how can you make it look better? Well the answer is simple: FS19 BUILDINGS – scroll through the category and after the game has been released, you’ll find tons of excitement and great buildings to roam around and explore. After installing these mods (installing is very easy, just look at our “how to install’ page). 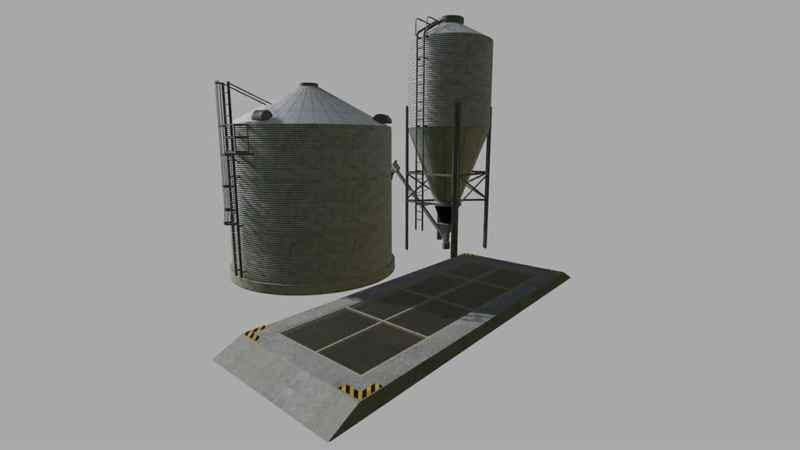 For new gamers and experienced Farming Simulator players, this section can provide a solution to a problem if they had ever wished to add a specific FS19 building in to the game or make the game more realistic. Keep your buildings looking nice and happy farming everyone! Cars – Cars are fun to drive in FS19. Driving has always been fun and realistic in previous titles and with Farming Simulator 19, the series looks to set the standard even higher. With more and more news about the game rolling in to our worlds, famingmod.com looks to give you the latest information about cars in FS19 CARS. We’re hoping for a wide selection of BMW’s, Merc’s and a different approach with: vans, Peugeots, pickup trucks and any kind of brand that you can think about. Whether cruising just to explore or driving to an important destination – a car is the logical choice for the modern farmer. Happy farming everyone! Combines – Driving one of these bad boys in Farming Simulator 19 is extremely authentic. While developing the game, various combine drivers met with the team of developers and helped them achieve the level of authenticity that the players – you will be getting from the final product. Knowing how it feels in the game you start to understand how it would feel to drive it and operate the complex mechanisms in real life. It’s both fun and productive. Think about the opportunities that this opens up for you as a gamer, with FS19 COMBINES you can make your farm more productive and turn yourself in to a mogul really quick. Don’t forget to like us on facebook and follow us on other social media. Happy farming everyone! Cutters – Operating a cutter isn’t the easiest job in the world. You need to make sure of your safety, attach it properly and use extreme care and your skills to bring them to use. Luckily in Farming Simulator 19 you’re not risking to injure yourself or others so attaching a cutter is really easy, but using them properly requires a certain level of knowledge and skill. So take a tour around FS19 CUTTERS. Pick the one you like and enjoy the rewards that a good set of tools brings to your farm. A great production, happy customers and a whole lot of money. Don’t forget to like us on Facebook, follow us on other social media and have a nice “farmtastic” day. Forklifts & Excavators – Imagine having to lift a few hundred kilogram palette on to a trailer or think about having to dig a 35 meter long trench for watering purposes… Treacherous, right? Of course it can be if you don’t use the right equipment. A forklift is a must have if you plan on having stock for the future because storing it won’t be easy and an excavator isn’t a luxury, it’s a commodity that a lot of the players tend to overlook. FS19 FORKLIFTS & EXCAVATORS help you replace hard and unnecessary physical labor. Don’t forget to like us on Facebook, follow us on other social media and as always – happy farming. Implements & Tools – What separates a primal man from a modern man? The ability to use and craft tools. Mankind has struggled with the lack of tools for thousands of years and so do modern farmers. You should be happy because you won’t face these kinds of problems. Firstly, you’ll have all of the tools and implements that are programmed in to the game by developers, plus you’ll be able to add in the ones made by the mod creators from FS19 IMPLEMENTS & TOOLS. Don’t forget that all modifications in farmingmod.com are FREE and downloads are unlimited. We also would like to ask that you leave a review after downloading the mod and share your thoughts with other players. Happy farming everyone! Maps – Map is king in Farming Simulator. It dictates the conditions: how much you have to do, what’s available to work and the possibilities are closely tied together with the area you base your farming business in. Wandering around doesn’t seem like much, but once you think about it, sometimes you need to clear your head or just to explore a possibility and find a solution. FS19 MAPS offers extensive possibilities to reimagine the way Farming Simulator is played. Whether you’re focused on your business a 100% or you spend some free time roaming around – investing your time in to a map mod pays back large dividends. Follow us on social media and contact if you have any questions. Happy farming everyone! News – Since the game is in production, much speculation surrounds it’s development, creation and features that might be in the game. Look at the section FS19 NEWS to find the latest and hottest news regarding Farming Simulator 19. We separate true facts and information from fiction and fake leaks, so you always get the best possible information from trusted sources. In addition, we want your contributions – they’re highly appreciated. We want you to feel involved and grow the community base that is the center of farmingmod.com. Our goal is to establish a powerful connection between the moderators and the fans so the articles and the mods are top notch and unique. As always – happy farming everyone. Objects – Working on a farm is tiring, sometimes it can get monotonous and you just need to take care of something else – go to town or just reroute the current objectives. Naturally you don‘t want to think ‘Ugh, same old scenery, same rock 300 yds. Away from here, everything is the same’. Well the medicine for this problem is FS19 OBJECTS. We can only speculate on what’s going to be in the game, but rather than making wild guesses we make guaranteed predictions. A game is made with objects and there is a lot of them, but you can add more to make the world feel alive. As always, don’t forget to review the mods that you’ve downloaded and happy farming! Other – With the game being as large and as expansive as it is, it’s hard to speculate, but we know that everything that mod creators are going to make no one will be able to categorize completely. More than a few million players play Farming Simulator and to think that all of them have the same needs for their gameplay is not realistic. Think about the many things that you can change: from bench models to AI driving, from weather to your combine’s exhaust… So many opportunities, and it’s just like counting stars in the sky – you won’t have an exact number because there’s just going to be more and more… But that’s a good thing because in order to avoid miscommunication, we made a category – FS19 OTHER. It’s going to filled with mods that don’t fall in to the 20 other categories that our site – farmingmod.com has. Like us on facebook, follow on other social media and happy and productive farming! Packs – To save your time and to reduce your troubles mod creators and community members are here to help and make mod packs that are large portions of mods, put in to one package where you can find them all and really switch up your experience without investing much time. FS19 PACKS is going to expand and new mod packs are added every day, so just stay calm and prepare. . Don’t forget that all mod packs in farmingmod.com are going to be FREE and downloads are unlimited. We also would like to ask that you leave a review after downloading the mod and share your thoughts with other players. Happy farming everyone! Scripts Mods – Ever thought about a change that isn’t visual? If you’re looking to change the mechanics f.e. (grain production output, speed of the game, weather dynamics or other things) chances are you need a script mod. A script from FS19 SCRIPTS mods works as a modification to the game, but it isn’t visually noticeable like let’s say a tractor mod. It’s different. A script alters the way the game was programmed, changing a few lines of code and in this way altering the right things to make the game as you want it to be. We also encourage you to leave a review after downloading the mod and share your thoughts with other players. Don’t hesitate to contact us and happy farming everyone! Skins/Textures – Looking at the game from a visual point of view has always amazed us when it comes to FS. Whether it’s the detailed environment or something else – Farming Simulator’s have always delivered when it came to textures. With the game’s release looming ever closer, we anticipate the best results from mod creators. With previous titles, upgrading the look of trees and other textures, such as paint, pieces of scenery and etc. All FS19 Skins/Textures are completely free so don’t hesitate and download them. Leave your opinion in the form avliable in the mod page and help other players by sharing your knowledge and experience. Happy farming everyone! Tractors – Woo-hoo, the most fun part of Farming Simulator and in the same way – one of the most realistic and attractive, is back. We’re talking about tractors. Since there are a lot of rumours about what is going to be in the game and what will change, there are some things that the farmingmod.com community is sure of. That’s one of the main reasons why we are introducing FS19 TRACTORS to the table. Don’t forget that all modifications in farmingmod.com are FREE and downloads are unlimited. We also would like to ask that you leave a review after downloading the mod and share your thoughts with other players. Happy farming everyone! Trailers – You can’t really go wrong with a right trailer, it’s an investment that always pays off. Trailers help you deliver cargo and with little logic required you can understand that profits go up as your trailers get better. Deliver more cargo, do it more quickly and with more style. Everything becomes more with FS19 TRAILERS. The game will offer a wide vairiety of trailers by itself, but adding a few mods never hurt nobody. After downloading and testing these objects out, don’t forget to leave a review and your thoughts on FS 19 TRAILERS. Happy farming! Trucks – A farmer and a trucker has to stay friends, one helps the other to prosper and vice versa. In Farming Simulator you have the unique opportunity to fill in for both of them and be both a great farmer and a reliable truck driver. But in order to achieve that goal you need to set yourself up to be a success in this bussiness. Trucks aren’t plenty of to choose from in FS, so with the help of FS19 TRUCKS, you’ll be able to shine in that new MAN, or spread some american charm with a huge Peterbilt. Whatever the case may be, this can be a beggining of something fun and exciting. Like us on facebook, follow on other social media and happy and productive farming! 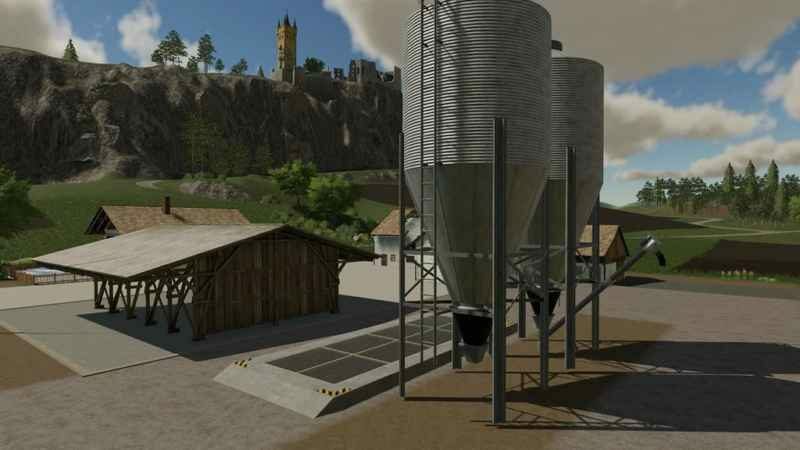 Tutorials – Working on a farm is a very subtle and demanding job. You surely won’t know everything right from the get to, but to help ease the struggle – FS19 TUTORIALS. Here are a bunch of them that will help new players familiarize themselves with the ‘ropes’ and battle hardened and time tested veterans to remmember old tricks and learn new ones, because as a bussinessman or a bussinesswoman you need to progress and expand. Don’t hesitate and try it out for yourselves! Modifications along with turorials in farmingmod.com are FREE and downloads + views are unlimited. We also would like to ask that you leave a review after seeing the tutorial and share your thoughts with other players. Happy farming everyone! Updates – With the game’s release looming just around the corner we can’t wait to see what will the updates bring to us. New abilities, more equipment, better mechanics? But since then the best way is to stay calm and enjoy the current version o the game. In this section – FS19 UPDATES, we’re going to post articles about upcoming and new updates and list the new features that they’re going to have. Meanwhile check out our other mod categories and like us on facebook. Happy farming! Vehicles – As a farmer you might distance yourself from cars or the comforts of the modern man, but that shouldn’t be the case. You are able to drive your dream car while running your dream bussiness in the mean time. Think about it as a practical investment – it is not only going to help you feel good, but also you will move faster and expanding operations is going to be easy. Like us on facebook and follow us on other social media. We kindly encourage you to leave a review after downloading a mod from FS19 VEHICLES. Cheers and happy farming! Cars – Cars the newest Farming simulator 2015 mods. Download and try it now!!! Combines – Combines the newest Farming simulator 2015 mods. Download and try it now!!! Maps – Maps the newest Farming simulator 2015 mods. Download and try it now!!! Tractors – Tractors the newest Farming simulator 2015 mods. Download and try it now!!! Trucks – Trucks the newest Farming simulator 2015 mods. Download and try it now!!! Vehicles – Vehicles the newest Farming simulator 2015 mods. Download and try it now!!! jaime tros ce tracteur ces le meme que le mien!!!!!!! !